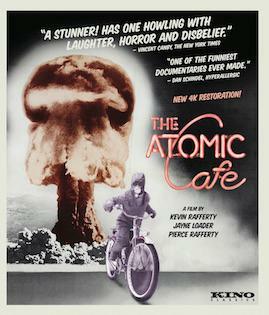 Synopsis: Armageddon has never been so darkly funny as in The Atomic Café. This 1982 cult classic juxtaposes Cold War history, propaganda, music and culture, seamlessly crafted from government-produced educational and training films, newsreels and advertisements. Taken together, these sources cheerily instruct the public on how to live in the Atomic Age, how to survive a nuclear attack (!) … and how to fight and win a nuclear war. As a U.S. Army training film advises, “Viewed from a safe distance, the atomic bomb is one of the most beautiful sights ever seen by man.” Returning to home video in a sparkling 4K digital restoration created by IndieCollect, The Atomic Cafe is an absurdist blast from the past that would be downright laughable if it weren’t so eerily relevant to our fake news present. 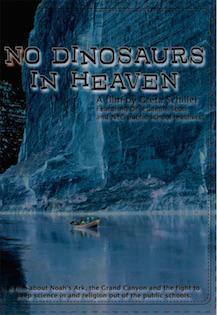 Synopsis: The documentary weaves together two strands: an examination of the problem posed by creationists who earn science education degrees only to advocate anti-scientific beliefs in the classroom; and a visually stunning raft trip down the Grand Canyon, led by Dr. Eugenie Scott, that debunks creationist explanations for its formation. These two strands expose the fallacies in the “debate,” manufactured by anti-science forces, that creationism is a valid scientific alternative to evolution. Emmy Award-winning director (Before Stonewall, Paris Was a Woman) and science educator Greta Schiller uses her own experience — with a graduate school biology professor who refused to teach evolution — to expose the insidious effect that so-called “creationist science” has had on science education. Featuring NYC science teachers, No Dinosaurs in Heaven intelligently argues that public education must steadfastly resist the encroachment of religion in the form of anti-evolution creationism, and that science literacy is crucial to a healthy democracy. Synopsis: From the Piney Woods School in the Mississippi Delta to the Apollo Theater in Harlem, New York City, this toe-tapping music film tells the story of the swinging, multi-racial all-women jazz band of the 1940s. 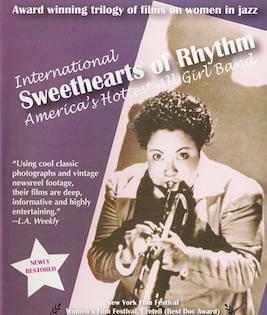 A 16 piece band with a strong brass section, heavy percussion, and a deep rhythmic sense, the Sweethearts were not just a novelty but featured many of the best female musicians of the day. Synopsis: The DEATHSHIP has a life of its own… pray you are never rescued by the DEATHSHIP! Academy Award winner George Kennedy (Cool Hand Luke, Thunderbolt and Lightfoot, The Naked Gun and Airport franchises) stars with Richard Crenna (The Evil, Wait Until Dark, First Blood), Nick Mancuso (Nightwing, Rapid Fire, Blame It on the Night) and Saul Rubinek (Unforgiven, Against All Odds, Agency) in this terrifying tale of a possessed ship searching for new victims on the high seas. An ocean liner carrying vacationing passengers collides with a mysterious freighter. 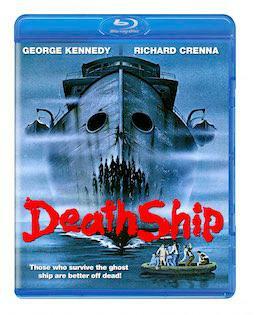 The handful of survivors seek refuge aboard the sinister freighter, which turns out to be possessed by the evil forces that once commanded it. Also starring Sally Ann Howe (Chitty Chitty Bang Bang) and Kate Reid (Shoot, The Andromeda Strain) and directed by Alvin Rakoff (City on Fire, Say Hello to Yesterday) and based on a story by Jack Hill (Coffy, Foxy Brown). Now see this horror classic from a brand new 2K scan of the original longer cut with extensive color correction! Synopsis: Makala (Swahili for ‘charcoal’), the new documentary by Emmanuel Gras, is a powerful testament to one man’s commitment to his family, and his edurance in working to provide them with a brighter future. Kabwita, a 28-year-old man living in Congo with his wife and daughters, dreams of purchasing a plot of land to expand the family home. He sees his opportunity to earn money by selling charcoal, culled from the ashes of a mighty hardwood tree that he has felled and baked in an earthen oven. Loading up the bags of charcoal onto the back of his bicycle, Kabwita sets off on a daunting journey – up steep hills and across treacherous roads – to sell the charcoal at market. 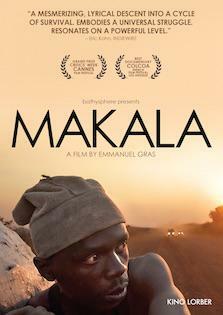 Featuring stunning cinematography that finds beauty in this tireless labor, Makala won the 2017 Grand Prize at International Critics Week and Golden Eye Special Mention for Best Documentary in Cannes. 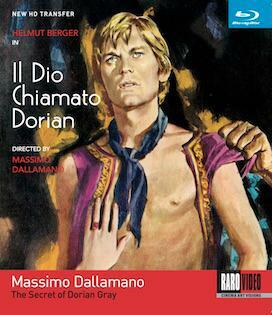 Synopsis: Never before released on DVD in the U.S., The Secret of Dorian Gray is a classic, seventies, Italian film restored to its original splendor. Taking place in London, a wealthy young man, Dorian Gray, is in love with an aspiring actress named Sybil. He is also in the process of getting his portrait painted by his ascot-wearing friend, Basil. When the portrait is finished however, Dorian complains that he will grow old while the painting will never change. On the same night, as if he has sold his soul to the devil, exchanging vanity for morality, he ends it with Sybil, and accepts the seductive offer of a woman whose party he attends. The next day, the painting looks slightly older. In horror and fascination, Dorian hides it away and continues a life of sexual experimentation. Over time, the portrait shows signs of aging, but he remains as youthful as if fueled by his ever-increasing libidinal lifestyle; finally, he and Basil face the painting. The exceptionally groovy score by Giuseppe De Luca enhances the seventies milieu.